Solitair&apos;s stage name may suggest that his policy is to fly solo, but this isn&apos;t always the case; on a new street single off his forthcoming LP, The Departure (set to drop in &apos;09), the Ontario emcee/producer teams up with two trusted homies to let the haters know they Can&apos;t Front. Over a hard-hitting, mid-tempo beat cooked up by the artist himself, Solitair and collaborators JD Era and Joell Ortiz look to silence all those who doubt their prowess. 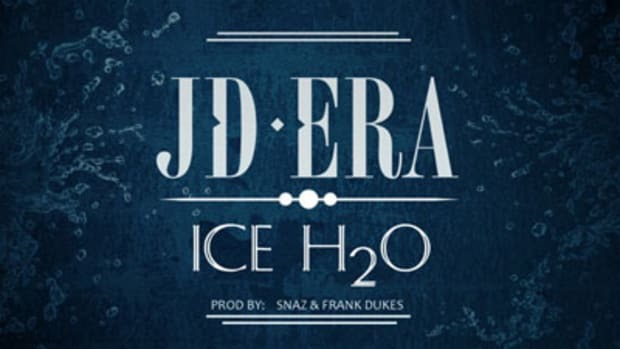 While the main artist uses his verse as a soapbox from which to tell attention-seeking rappers to get their priorities straight and focus on the music, fellow Ontario native JD Era elects to show rather than tell, filling his 16 bars with punchlines and pop culture references. On the tail end of the track, Ortiz is all business, telling his competition to stay out of his way or risk being demolished. There&apos;s no question that Solitair can talk a tough line when flanked by two talented wingmen, but will he have what it takes to impress listeners all on his lonesome? Only time will tell.